Sometimes, you’ll hear car enthusiasts complain that the technology in the latest performance vehicles makes driving too much like a playing a video game. And with the latest Mercedes-Benz concept, that’s literally the case. The Mercedes-Benz AMG Vision Gran Turismo was developed to coincide with the launch of Gran Turismo 6 and the 15th anniversary of that racing simulator franchise. The concept is the result of a challenger from Gran Turimso producer Kazunori Yamauchi, who asked the world’s carmakers to design automotive visions of the future. The Mercedes concept is one of a series of vehicles that will be gradually integrated into Gran Turimso 6 through online updates. Mercedes’ designers used the car’s digital status to their advantage, creating an extreme shape that looks otherworldly compared to most production cars. The traditional long-hood, short-rear deck sports car proportions are exaggerated to perfection, and the Vision Gran Turismo features a grille encrusted with LEDs. 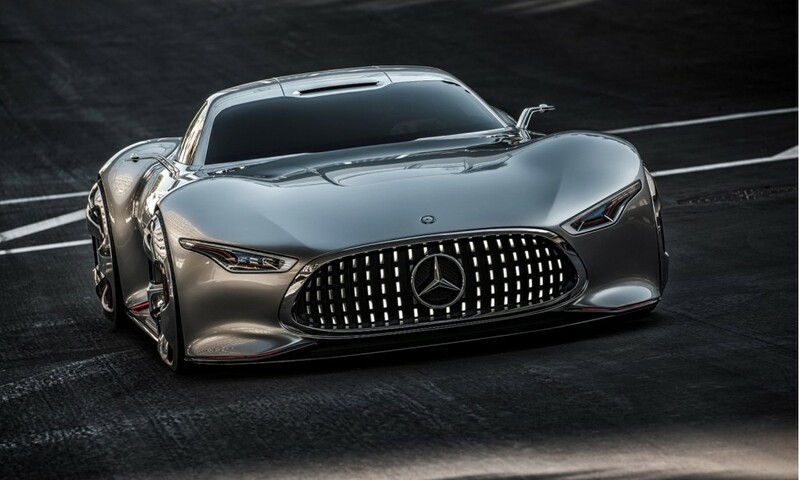 Overall, it looks like a futuristic version of one of Mercedes’ classic 1930s Silver Arrow grand prix cars. Underneath that fantastic skin is a twin-turbocharged V8 with 577 horsepower and 590 pound-feet of torque. That means it’s probably the 5.5-liter V8 used in the new S63 AMG, which has the same power output figures. However, on the Vision Gran Turismo, the exhaust exits through eight individual outlets integrated into the rear bumper. Since gamers will primarily experience the car through its sound, Mercedes’ sound specialists (yes, it really does have sound specialists) have created a unique tune for the car. According to Mercedes, the chassis is an aluminum space frame, draped with carbon fiber bodywork. That gives the Vision Gran Turismo a relatively light curb weight of 3.053 pounds, and a power-to-weight ratio of 5.2 pounds per horsepower. In the digital world, that is. The interior is reportedly inspired by a Formula One car, with seats integrated into the floor and rear bulkhead for better crash protection. Instead of a dashboard, the Vision Gran Turismo has a floating glass panel above the steering wheel that displays all of the relevant information. Thankfully this is a concept, because a glass dash would never pass crash safety testing. Secondary controls are operated by rocker switches in the center of the dashboard and on an overhead console, just like in a jet airplane. The Mercedes-Benz AMG Vision Gran Turismo concept will be unveiled November 19 at the opening of the new Mercedes Research & Development Center in Sunnyvale, California. If you want to drive it, you’ll need to pick up a copy of Gran Turismo 6, which hits stores this December.